Learn about three technologies that have changed the trucking industry. New technologies are making significant changes to the trucking industry. With the use of electronic logging devices, GPS tracking, and voice command, truck drivers are finding more effective ways to complete their shipments and save money along the way. Continue reading to learn more about three technologies and their benefits for the trucking industry. Electronic Logging Devices, or ELDs, are now required for all truckers. An ELD connects to the engine to record when the truck is in motion, allowing truckers to easily see their recorded driving hours each day. ELDs have many benefits for truckers, as they bring significant time and cost savings. Before the electronic device, truckers had to fill out paperwork and file documents to carriers- now, the device saves a total of about $700 per year in paperwork savings. The device also saves a significant amount of time, as truckers were wasting about 20 years of driving time per year filling out documents. 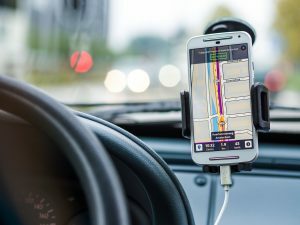 GPS tracking has made a huge impact on the transportation industry, as the majority of drivers now use their phone for directions on the road. While this technology helps all vehicles find the fastest route and avoid traffic when possible, GPS tracking is especially important for truckers. Apps allow drivers to add important information about their truck, such as the bridge weight, along with recommendations of where to stop for gas or where to park for the night. As mentioned above, the majority of people use their phones for directions in their vehicles, which has negatives and positives. While GPS tracking helps everyone on the road to find the fastest route and stay informed with traffic updates, it also allows their phones to be too accessible while driving. Distracted driving with the use of cell phones is extremely dangerous, especially for truckers who are operating dangerous vehicles. However, voice command now allows truckers to use their phones safely without taking their eyes off the road or their hands off the wheel. While the use of phones should be as minimal as possible, truckers can use voice command to stay informed on their route with traffic updates, and play music or podcasts while remaining completely focused on the road. Evan Transportation provides trucking and transportation services for clients throughout the Mid-Atlantic region. All of our drivers and staff are offered competitive salaries, benefits, and are guaranteed to be home every day. Interested in finding out more? Visit us online or give us a call at 443-673-3365. For even more information, visit us on Facebook, Twitter, Pinterest, LinkedIn, and Google+. This entry was posted on Wednesday, December 5th, 2018 at 9:24 pm	and is filed under Trucking Industry. You can follow any responses to this entry through the RSS 2.0 feed. Both comments and pings are currently closed.